Received at Delhi railway station to board shatabdi exp (fast train) to haridwar (A bigger town near rishikesh with 30 minutes drive). Over night at hotel. Drive to Okimath enroute visiting devprayag & rudraprayag. Arrive okimath, the winter seat of lord kedarnath. Eve visit the okimath temple and market of small hill town. O/N at Guest House. Trek to Devriatal, one of the finest Himalayan lakes. On arrival enjoy the panoramic view of greater himalayan range explore the area and trek down to sari. Arrive sari & o/n at camp. Day free at Tungnath to explore the surroundings, photography. Night stay at camp. 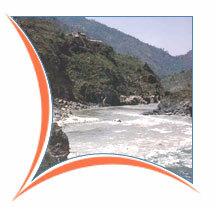 Full day free at Rudraprayag, Rudraprayag is famous for confluence of two Great rivers Mandakini and Alaknanda. Explore the surroundings. Night stay at Rudraprayag. Raft down to Srinagar, the old capital of garhwal. We raft down through the gorge and remote villages. Arrive srinagar o/n at camp. Raft down to Devprayag. Today we float past the villages and old temples of the area. 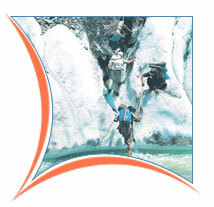 Arrive devprayag visit the ancient temple of ragunath. O/n at camp. Morning and afternoon session for Rock Climbing. Night stay at camp. Full day free at Chila wildlife sanctuary. FDrive to Corbet :Afternoon visit Jungle for game viewing. Evening at leisure. O/N at Hotel. 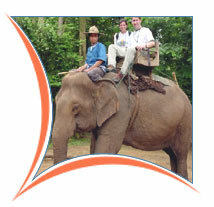 Full day free for Elephant ride, Jeep safari inside the Corbett National park. Night stay at hotel. Full day free for other jungle activities inside the CORBETT NATIONAL PARK like bird watching, Tiger Spotting etc. Night Stay at Corbett. Drive from Corbett to Dehradun and from Dehradun/Rooop Nagar drive to Delhi, arrive Delhi.